Once more into the vault my friends, once more into the vault. Step back in time, to a time when the modcast was young and fresh. Take a giant step outside your current listening constraints and journey with me back to a not so distant past, all the way back to 2008. 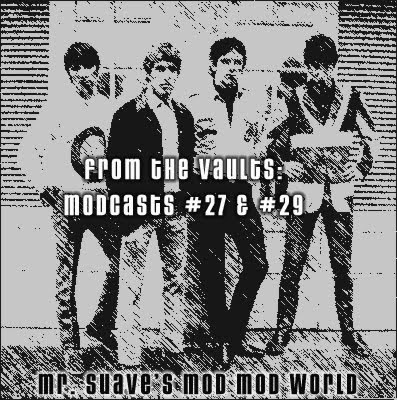 I've opened up the vaults and dusted off a couple of classic modcasts that I think you'll enjoy. Again. 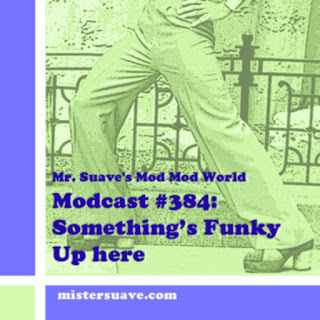 Here's a special episode of Mr. Suave's Mod Mod World, featuring songs about the days of the week. Enjoy, and I'll have a new episode for you right away. Welcome to modcast #29. Lots of good stuff this week, including a really cool video from United Future Organization. Now if that ain't mod, I don't know what is! Enjoy the sounds. Have been away for a while, so have just been downloading every episode from #203 to #214. Am really looking forward to a listening marathon, but it pains my completist heart not to be able to find #208, which seems to have gone missing.